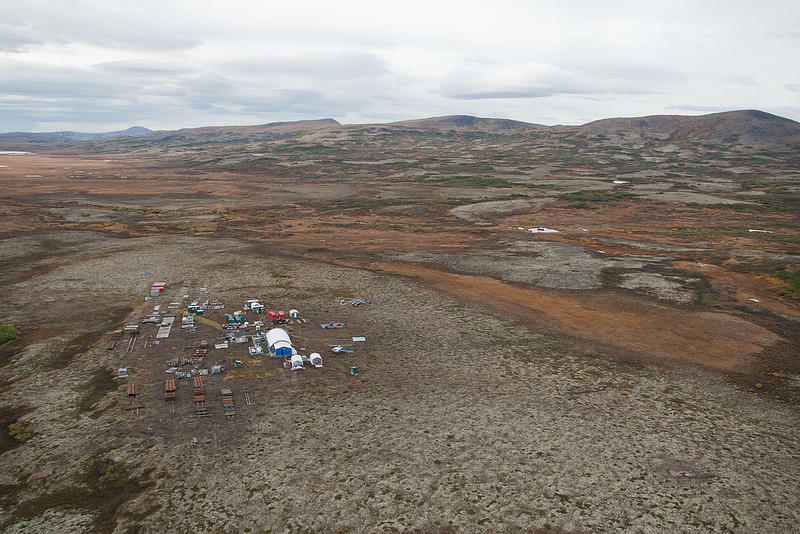 The U.S. Army Corps of Engineers’ release of Pebble Mine’s draft environmental impact statement is a major step in the federal permitting process. The purpose of the draft EIS is to analyze the project’s proposal and present alternative plans. The final document will inform federal agencies as they decide whether or not to permit the copper, gold, and molybdenum mine in Bristol Bay. The body of the draft is more than 1,400 pages and includes the Army Corps’ scoping report and chapters on mitigation and alternatives to the Pebble Project’s proposed plan. The Army Corps released the draft two days earlier than anticipated, but groups invested in the debate surrounding the controversial mine are already responding. United Tribes of Bristol Bay Executive Director Alannah Hurley says that the draft falls far short of its purpose. If built, the mine would tap into one of the largest undeveloped sources of copper, gold and molybdenum in North America. It would also be located by some of the richest salmon habitat in the world. At scoping meetings last spring, residents in the region expressed concern about the impacts a mine could have on that habitat and on their way of life. One example is the ice breaking ferry the Pebble Partnership proposed to run daily down Iliamna Lake to transport mining materials. The release of the draft EIS marks a significant step in the federal permitting process. But the Pebble Project still needs a slew of state and local permits. In a press pool this morning, Army Corps Program Manager Shane McCoy said that they would take all public comments on the draft into consideration. “Part of this comment period is to – again – during the public hearings, is to solicit as much traditional ecologic knowledge from the folks in the communities we’ll be visiting as well as the public, and help inform the revision to the draft,” McCoy said. A 90-day public comment period will begin March 1. Comments can be submitted on the Army Corps website or by mail. There will also be nine public hearings as part of the public comment period. Those who want to comment on the draft EIS can familiarize themselves with the USACE’s website for the Pebble EIS process.